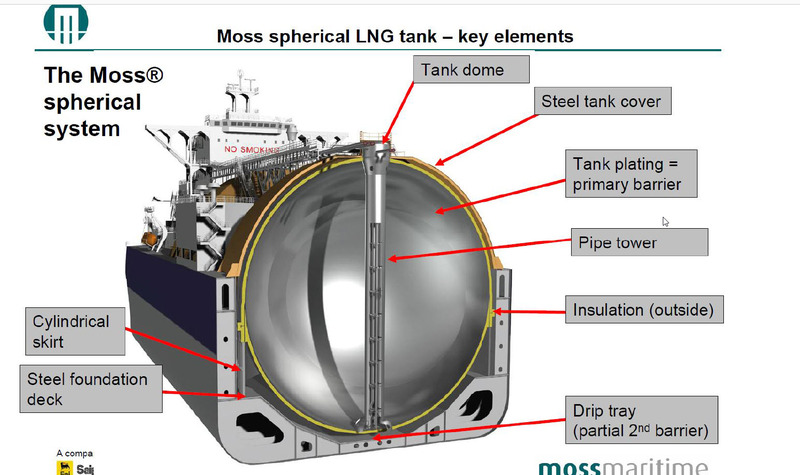 The following information was derived from Infographic. If you drop your cell phone a lot, you’re not alone. 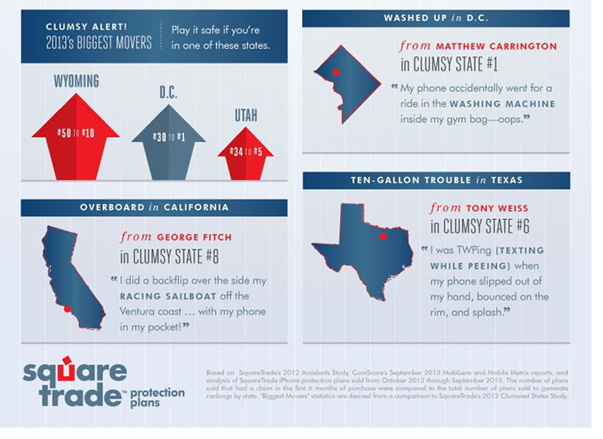 Cellphone protection plan, Square Trade, put together a survey to find out what the top 10 clumsiest states in the U.S. are. 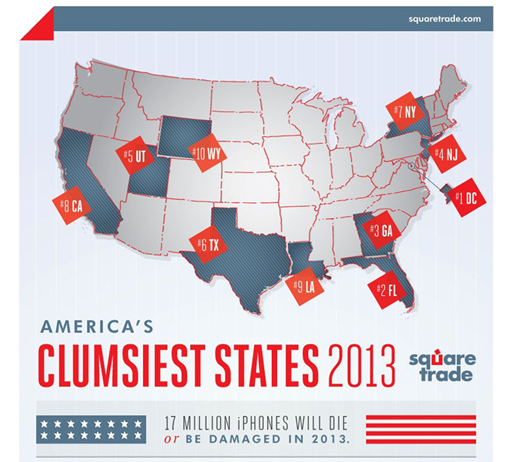 According to the company, the Clumsy States Index allows it to see how the past year’s events impacted device damage. For example, the company has data that shows that 23 million Americans damage their devices during sporting events. Company analysts study information to determine if, for example, the Washington Capitals and Redskins’ teams’ success last season played a role in ranking DC as number one on the chart this year for clumsiness. New York City just added Wi-Fi to its subways systems in the past year; could this have played a role in the state’s position in the top 10? These are the kinds of factors Square Trade takes into consideration. Check out the Infographic below to see where your state ranks, or if it even made it on the list. All good excuses, (I suppose.) Let’s just hope these folks are insured. Leave me a comment and let me know how you destroyed your cell phone. 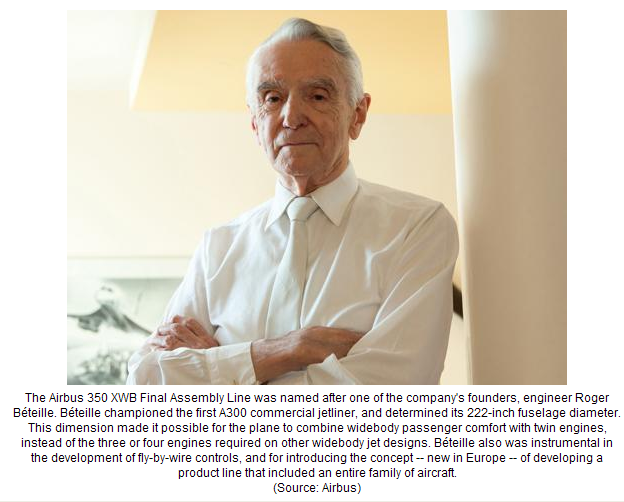 I am constantly amazed at the complexity involved with the planning, design, testing and production of modern airliners. 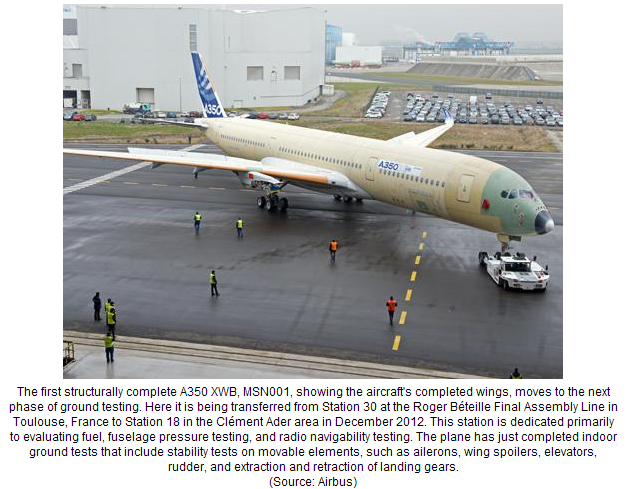 If you believe “bigger is better”, you would love the A350 Airbus program. 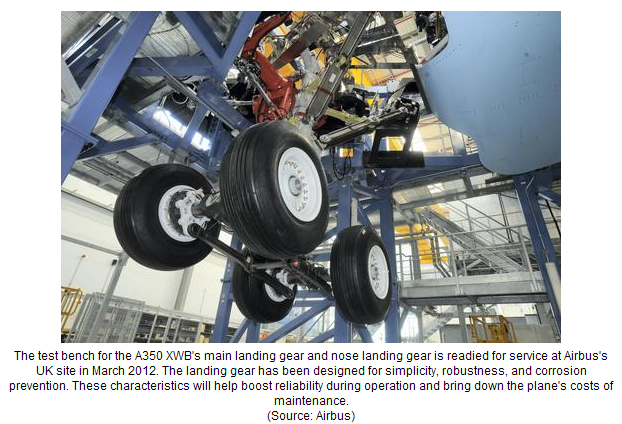 The A350 XWB‘s airframe is designed with a considerably larger percentage of carbon-fiber-reinforced composite structures relative to other commercial jet to date: over 53 percent by weight. Carbon fiber composite leader Hexcel is supplying all of the carbon-fiber composites used in the plane’s primary structures. According to a video made by the company, these include fuselage panels and barrel, wing upper and lower covers, wing spars, center wing box, keel beam, main landing gear door and bay, and the vertical and horizontal tail plane. But composites are not the only story. 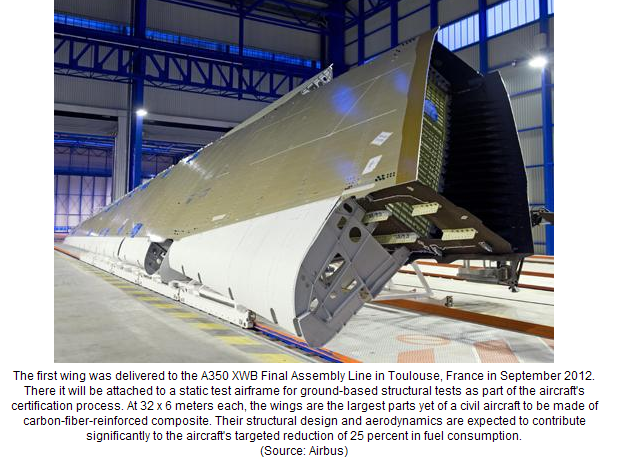 Titanium and advanced aluminum alloys combine with carbon composites to achieve more than 70 percent of the A350 XWB airframe’s weight in non-traditional materials. 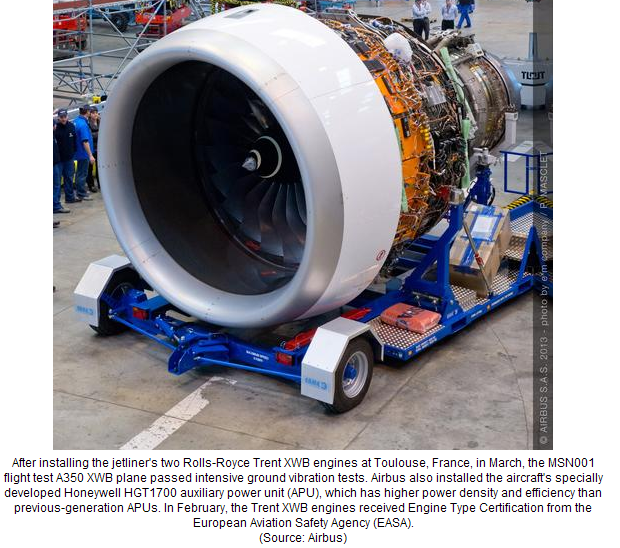 This plus a new aerodynamic design are aimed at reducing fuel consumption and operating costs by 25 percent compared to other aircraft in the same category of midsized, wide-body, twin-aisle passenger jetliners. As you might suspect, fuel consumption is definitely influenced by the overall “wet” weight. The real difficulty lies in reduction of weight while improving the air-worthiness of the craft itself. 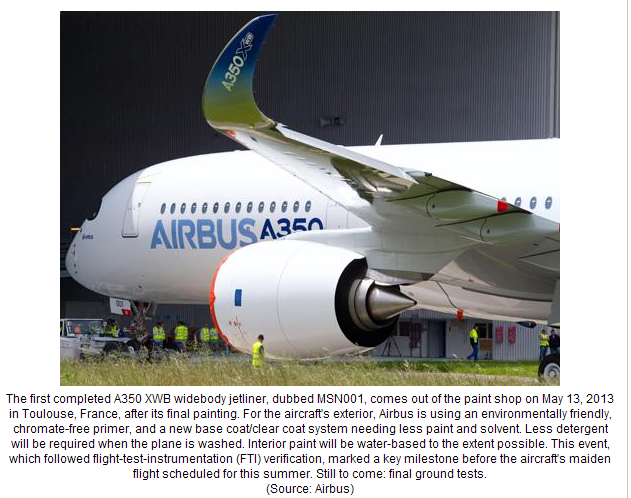 Let’s take a look at the A350 to get some idea as to the aircraft itself and the complexity of the overall program. The wings on the aircraft are absolutely massive as the JPEG below will show. 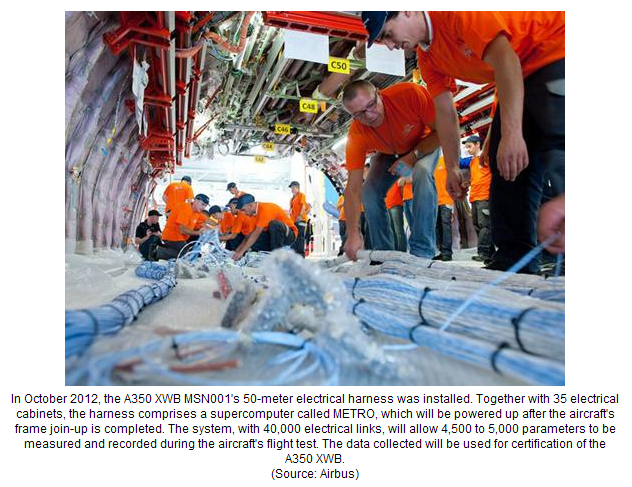 Wiring for the aircraft is measured in miles and certainly not feet. The wiring diagrams read like a fairly large book. As you might hope, hours upon hours of testing precede flight testing. It is absolutely critical the test pilots and crew remain safe during all in-flight testing. 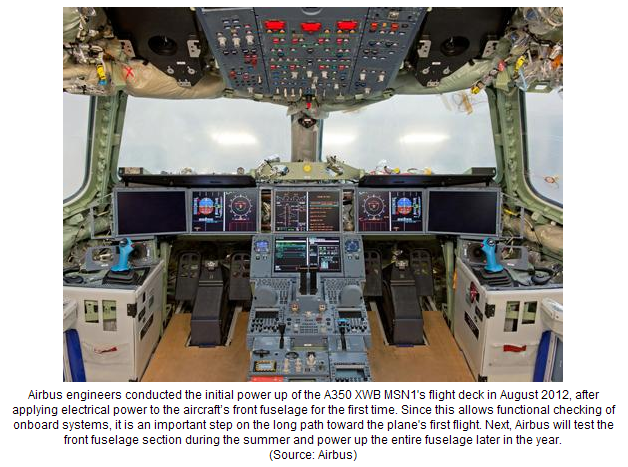 The JPEG show below will indicate preliminary assembly of the flight deck itself. As you can see, it’s a work in progress. The design methodology was fascinating also. Now, the final product. Ready for flight testing and modification if necessary. I have chosen to re-post the message below from IEEE because I feel their document is extremely important relative to trends they feel will be displayed next year; i.e. 2014. Take a look and see if you agree. Going beyond the Internet of Things, where identifiable objects are seamlessly integrated into the information network, the Web of Things takes advantage of mobile devices’ and sensors’ ability to observe and monitor their environments, increasing the coordination between things in the real world and their counterparts on the Web. The Web of Things will produce large volumes of data related to the physical world, and intelligent solutions are required to enable connectivity, inter-networking, and relevance between the physical world and the corresponding digital world resources. New 3D printing tools and techniques are empowering everyone from global corporations to do-it-yourselfers to create new devices and realize new concepts more quickly, cheaply, and easily than ever—from car parts, batteries, prosthetics, and computer chips to jewelry, clothing, firearms, and even pizza. 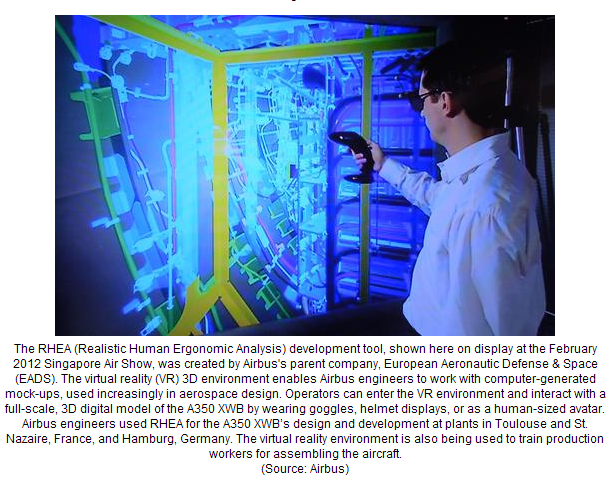 A future where digital functionality can be “printed into” a physical object will continue to be built on in 2014, driven by new toolkits, services, and platforms and innovative business models and processes, such as online 3D printing bureaus and crowd funding sites. Digital fabrication is revolutionizing the way that hardware is designed, prototyped, and produced. Advances in additive processes like 3D printing, and subtractive processes like laser cutting have increased the quality, speed, and ease of physical prototyping while simultaneously bringing down costs. Ubiquitous mobile computing is all around us, not only when we use smart-phones to connect with friends and family across states and countries, but also when we use ticketing systems on buses and trains, purchase food from mobile vendors, watch videos, and listen to music on our phones and portable music playing devices. As a result, mobile computing systems must rise to the demand. The Cisco Visual Networking Index: Global Mobile Data Traffic Forecast Update projects that global mobile data traffic will increase 18-fold between 2011 and 2016. Many systems in urban areas take advantage of robust networking infrastructure, gigabit-bandwidth backbones, high-speed relays, and unlimited power and recharging capabilities. However, many operate within degraded network, power, or computing environments, such as for first-responders in a catastrophe, mobile phone users in remote regions or countries with degraded communication infrastructure, or when millions of people watch fireworks and overwhelm the local networking infrastructure. In these scenarios, the needs of mobile customers can outstrip the infrastructure’s capacities and result in degraded performance. Researchers must develop tools, middleware, and applications that can help with these quality-of-service issues. Scientific computing has already begun to change how science is done, enabling scientific breakthroughs through new kinds of experiments that would have been impossible only a decade ago. It is the key to solving “grand challenges” in many domains and providing breakthroughs in new knowledge, and it comes in many shapes and forms: high-performance computing (HPC), high-throughput computing (HTC), many-task computing (MTC), and data-intensive computing. Big data is generating datasets that are increasing exponentially in both complexity and volume, making their analysis, archival, and sharing one of the grand challenges of the 21st century. Not surprisingly, it becomes increasingly difficult to design and operate large scale systems capable of addressing these grand challenges. As with any suggested trend, things can change in a heartbeat. We never know when a breakthrough in technology will change the face of things to come. This top ten list is “very comfortable” in predicting because we see these changes in progress at this time. I would love to have your comments relative to this post.